Your speech was almost perfect in your head one month ago. It felt great even when you were practicing last night silently making your last adjustments on your PowerPoint™ presentation. Now it’s time to take the stage. You start your speech but nothing clicks. Your mind goes through the content, but your body chooses to go the ‘opposite way’. The result? Surely not what you have expected. Stiff, flat and awkward. You have just experienced a “Cognitive Knockout”. In 1988, John Sweller developed a theory called cognitive load (his paper was published within the Journal of Cognitive Science). The concept relates to the amount of information your working memory can sustain at one time. Sweller expressed that our memory has restricted capacity which is why we should avoid overloading it with thoughts that do not pertain to the lesson. Additionally, research on deception lead by Aldert Vrij, professor of applied social psychology at University of Portsmouth, revealed an interesting effect of cognitive load on peoples’ behavior. To be more specific, when someone is telling the truth, memory activation is all that is required to communicate. One’s mind will work with them, not against. Communication flows naturally -memories, verbal communication, even body language. The recreation of the event is quite natural and straightforward. If a person is lying, the memory would be activated in the same fashion. The person must carefully choose their words not to contradict the truth – a blended sort of truth and reality. Two things are now required: Memorization of the fictional story and a commitment to this adapted version of the story for future recollections. This effort is somewhat burdensome on cognitive short memory functions. Messages will become muddled or obscure. Difficulties in controlling all the parameters (simultaneously) are predicted. The results increase in cognitive load therefore causes our systems to operate in a dysfunctional manner. To conclude, a cognitive knockout is the result of interruptions between memory and physiological reactions undertaken by the body. The cognitive knockout also has implications to the business world especially in high-stake situations. Imagine you are providing a briefing to corporate staff or company leadership. While your presentation might be well-prepared and admirably researched, you will most certainly experience a physiological reaction based on nervousness, apprehensions or anxiety. Despite the use of outlined information, detailed slides, et cetera, the body is more apt to experience psychosomatic reactions because of the emotional reactions. The same psychological properties can be activated during a classroom/conference presentation, in an unexpected question in a job interview, or even when trying to talk to an important person or someone we really like. Our natural communication effectiveness is clouded from thoughts emanating from the high-stake situation we are into (what are they thinking about me, how much time do I have left, where am I in my notes). This causes psychosomatic reactions leading to a flat delivery style; the speaker’s knockout. As a test to the validity of cognitive load, I and my team asked 60 professionals to do a 5-minute speech and then asked them to state their thoughts during the time they were on stage presenting. In a two-step process, the data was investigated, as scholar Jan Shilling suggests for analyzing qualitative data. Do any of these comments sound familiar? Cognitive load was exceeded in each of these situations. So, we know the dominant thoughts that will generate a cognitive overload, and we know that this will lead to a knockout. The following section is the three-step framework against the cognitive knockout used in my public speaking appearances all over the world. The best utilization of cognitive load is when our practiced communication presentations have become second nature. We don’t need to think about our points of conversation. At that point, the complexity of a schema is not important because any long-term memories only count as one item. The process leaves more openings for new information to remain in the short-term memory. Thereby, adjusting the training method to reflect your level of experience is critical. As you prep for the presentation is important to determine the “trouble gaps.” These gaps are the area of your current situation and the result. If the gap is too large, the working memory will be overloaded – minimizing the learning. It’s best to divide the training process into small segments at a time. Study your notes up front but be prepared to toss them later. Reading from notes flattens your delivery style. 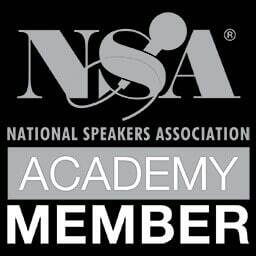 Successful speakers must appear natural and relaxed, even cheerful. You must be the expert in your field. The following steps will help you prepare. All these techniques will help you simulate your speech more accurately and eventually release cognitive space at the time of the actual performance. 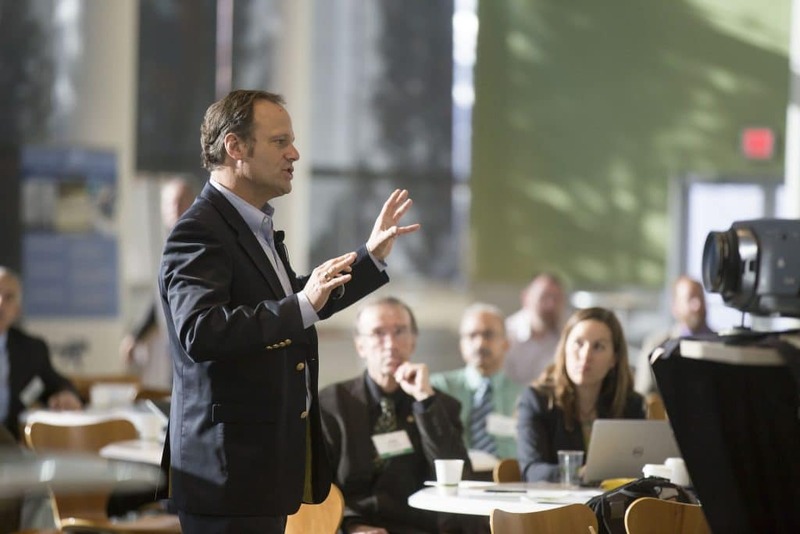 Speeches that are delivered from topics the presenter is passionate about are the most powerful. The excitement will energize your body and mind to process the information more readily, it can be expressed in real-time. If you find the presentation challenging find something that entices your interest. But, most important BE YOURSELF! Public speaking is all about perspective. If your thinking turns negative, the results will be disastrous. Instead, concentrate on learning the material, don’t sabotage your own system. You will knock yourself out! When a speaker looks at the presentation as educating the audience on an important topic the voice in your head changes, “I have these amazing instruments to share with the audience, because I believe it can change their life”. The brain reacts by releasing the cognitive load; energizing the body and allowing the speaker to relax and enjoy the presentation. Aim for value, have a conversation with the audience by explaining your point of view. Remember, it’s all about perspective. The secret to public speaking is perspective; re-arranging thoughts. You are the determining factor for system overload. Be well prepared. Be yourself. Believe in your value. One fundamental principle that applies to any public communication; the body will always find a way to reveal your underlying thoughts. It may not be apparent in your tone, but the signs become clear in other forms such as body language, behavior, and speech flow. So, control cognitive load…. and knock them out!